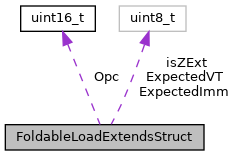 Definition at line 2900 of file ARMFastISel.cpp. Definition at line 2902 of file ARMFastISel.cpp. Definition at line 2904 of file ARMFastISel.cpp. Definition at line 2903 of file ARMFastISel.cpp. Definition at line 2901 of file ARMFastISel.cpp.